For my art piece I started with a 4 X 4 canvas, plastered it with crackle paste, stained it with acrylics & walnut ink. 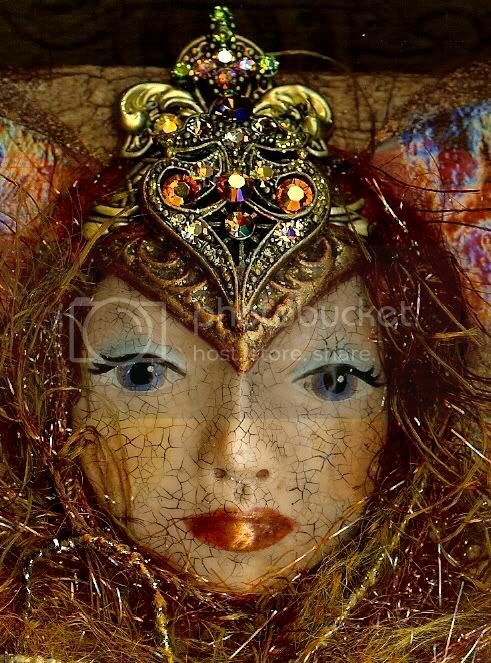 Handmade painted & crackled clay doll face, adorned with her lovely jeweled crown & copper colored fibers. 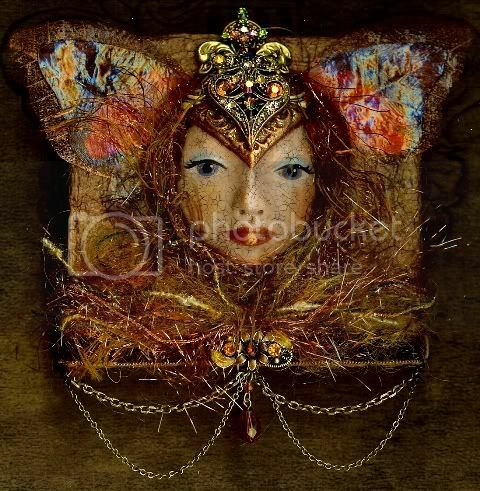 Butterfly wings, and brown velvet trim with jeweled piece at the bottom of canvas. There is quite a few entries already. The artist who has the most bids, wins~ to see more crowns, type in ZNE Theme Week in the ebay search bar. I get to look at it everyday and I SO enjoy it!